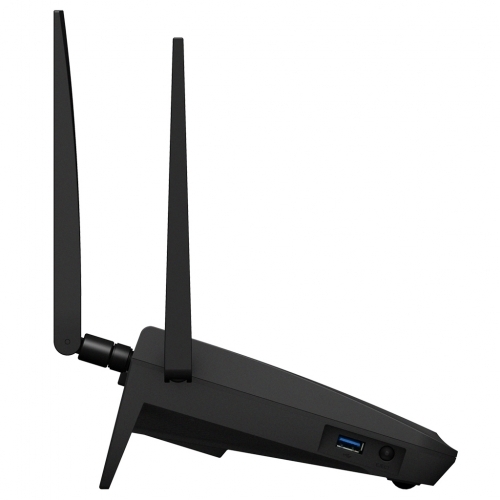 Synology Router RT2600ac - ACE Peripherals ::: Completing I.T. Secure and fast, Synology’s SSL VPN1 solution requires minimal setup on Windows, Mac (coming soon), Ubuntu, and iOS, making rapid deployment as easy as logging into a web portal. Intrusion Detection System analyzes network traffic and logs all intrusion attempts, allowing for fine-tuning of your firewall rules with minimal performance impact. Intrusion Prevention System additionally blocks suspicious traffic based on customizable rules. Monitor and check settings and system files for security issues and automatically apply recommended fixes. Synology utilizes the industry leading Qualysguard platform to detect and enhance security across all Synology operating systems. New vulnerabilities and exploits are discovered in the wild every day. Synology is committed to providing fast updates to keep device security up to date for maximum protection. SRM can automatically perform upgrades on a schedule for maximum convenience. With an external storage device or SD card, RT2600ac can become a private cloud server with Synology’s Cloud Station Suite3, allowing easy access to files, photos, and even backups for multiple devices. Mac users also enjoy Time Machine compatibility. Connect devices with USB 3.0 to take advantage of RT2600ac’s powerful connectivity4. SRM’s modular design allows for a tailored and optimized experience to suit your needs. Wave 2 ac and DLNA certified for maximum compatibility with your other devices. VPN Plus offers one free concurrent account with access to the premium features—WebVPN, Synology SSL VPN, and SSTP. To allow more concurrent access, licenses can be purchased from Synology in the future. With Network Tools, you can easily test, analyze, and troubleshoot network connections using the Ping and Traceroute tools. In addition, you can remotely wake up devices connected to Synology Router RT1900ac using the Wake on LAN panel. 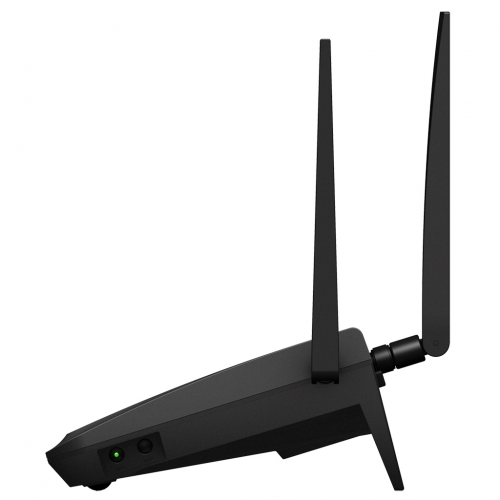 You can create dual guest wireless networks, allowing temporary visitors to connect to the Internet, while restricting them from accessing local resources, such as servers with sensitive data and files. 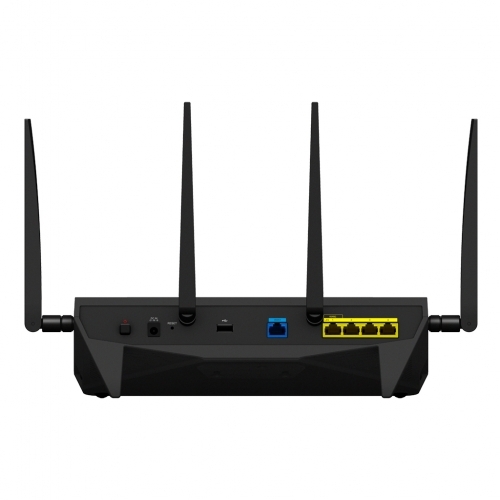 This is useful for businesses or other institutions who want to provide a wireless connectivity for visitors, but keep them from accessing sensitive resources, such as the office file server. The USB port allows for sharing a printer across your wireless network. Simply plug it in and everyone connected to the network can take advantage of a centralized network printer — without having to worry about plugging in more wires. 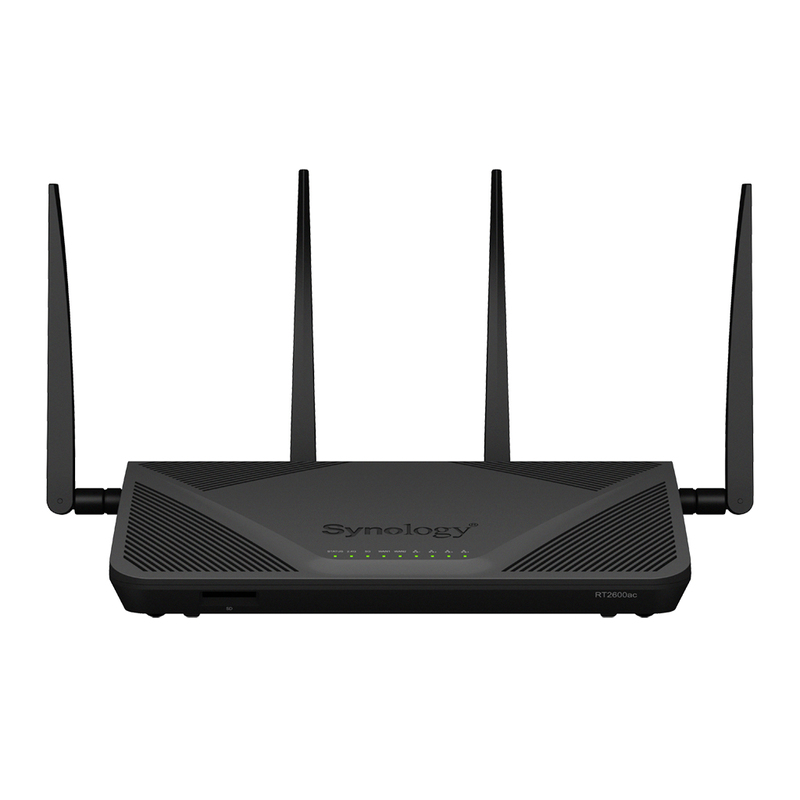 Find out how the Synology Router is the perfect fit for your home or office network. 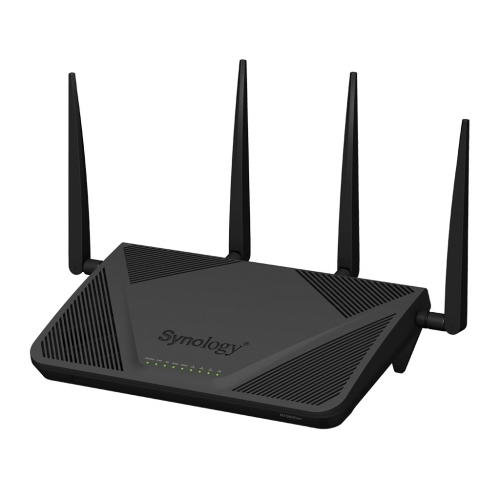 Equipped with the latest 802.11ac wi-fi technology, dual-core processor, and top-notch software integration, Synology Router delivers reliably fast data transfer speeds, even when dozens of devices are connected to the network. Synology Router's Application Layer QoS (Quality of Service) feature makes possible to fine-tune bandwidth usage, while the intelligent web filtering allows admins to effectively block employees from accessing unwanted or dangerous websites. For companies that want to enhance their security policies or network management, Synology Router can serve as your printer, VPN, DNS, or RADIUS server, providing useful functionality without requiring additional hardware to be purchased. For everyday people, one of the greatest challenges when using a router is initial installation. With its simple setup process, Synology Router makes getting started a breeze. Just plug it into your existing modem, enter "router.synology.com" in a web browser, and follow the interactive guide to finish. Best of all, you can complete setup using only a smartphone, with no need to boot up the computer. 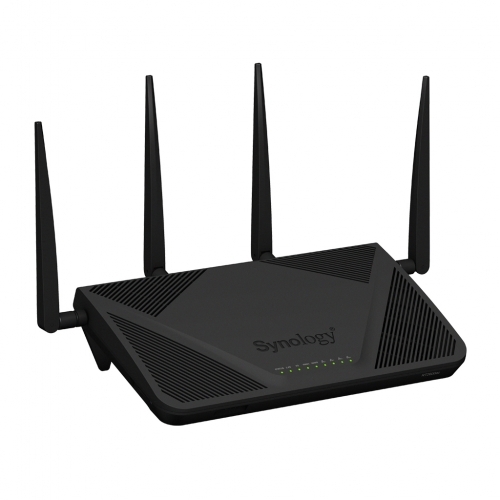 With Synology Router, parents can specify a schedule to control when children have access to the Internet, so they can't surf the web after bedtime or when they should be concentrating on homework. Plus, with a vast database of dangerous or inappropriate websites built into Synology Router, parents can block thousands of sites with a few simple clicks. For those who love watching streaming video services, Synology Router makes it incredibly simple to prioritize bandwidth usage of each device in your home. That way, you can guarantee your smart TV or media player always has enough bandwidth to stream movies and TV shows buffer-free. With DLNA certification and Synology's popular Media Server and Download Station add-on packages, Synology Router can become your home multimedia hub. Simply connect a USB or SD card storage device to Synology Router, and you’ll be ready to stream video files directly to your smart TV, computer, or other devices.